On this last day of spring ... here is the Spring Newsletter! And happy Solstice tomorrow! This newsletter, I would like to provide general and more specific information on starbraries. Much of this was in newsletters years ago, but is repeated here for continuity. First, I want to make one statement: Melody did not write a thing about starbraries. Nowhere in any of Melody's books or publications will you see it mentioned. This is to put on the record that although Melody is a great source about crystal information, she is not the only source and you should trust your instincts as to whether or not the information resonates for you. Read a variety of sources so that you develop perspective. In any case, what I am seeing now is an increase in starbrary glyphs that are quite different from the ones originally channeled. 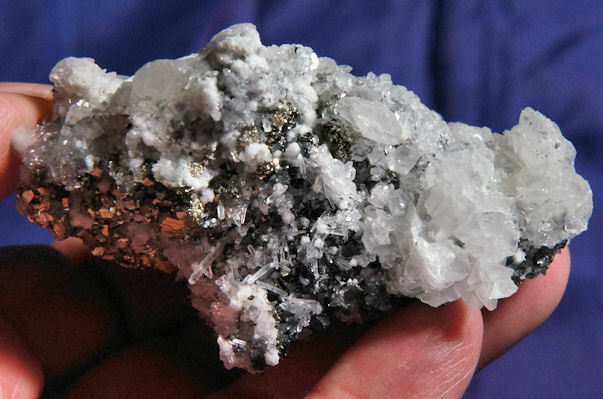 In particular, the lightning strike quartz are incredible. These are quartz that grew in places that sustained a number of lightning strikes. 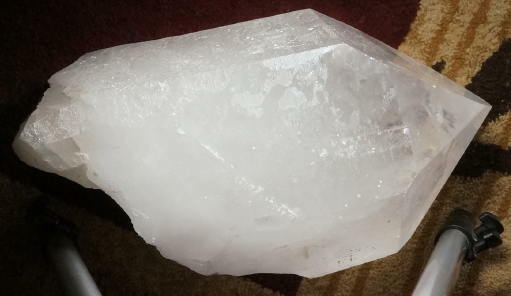 Some of the strikes literally damaged the quartz through the eons; the most ancient strikes have healed while the new ones show the raw scars yet. None the less, the pattern is distinctive and it occurred to me that these are a special starbrary. The starbrary glyphs were created by electrical patterns, thus encoding them with information, much the same way computer chips are encoded today. Quartz is piezoelectric meaning that it conducts electricity when under pressure (that is why it is used in watches). The warmth of your hand creates enough energy to activate it, so certainly electricity from whatever source will do the same. I am still working with the lightning strike information, but wow, there is a lot there to decode and utilize - this is an important addition to the starbrary collection. There are at least six different peoples who left crystal records. The most sought after are the maps, histories and legends of the people of the Cassiopeia system. They are recognized by more flowing lines and symbols along the sides of the crystal. While they often manifest key markings, they don't always, but there will always be different and comfortable ways to hold the crystal, facilitating the opening of the many layers. These are the most detailed crystals and contain huge amounts of information - like encyclopedias, although even more in depth. Another type features more geometric symbols (triangles, squares, circles, etc.) along the sides, often with profound keys and sometimes have a sort of holographic look as the symbols blend with Lemurian lines. These contain information from the Pleiades. These first two types are the most important and are the basis for most of the Atlantean and Lemurian recollections. The next type of Starbrary shows more linear patterns, rather like a combination of the first two. The peoples leaving these records came from the Leo systems and the information contained within these crystals is more historical information: names, dates, weather, etc. They contain much factual information and not as philosophical as the first two. Another type is a series of indented triangles and dashes - a kind of Morse Code. These are often called "cosmic crystals" and they resemble a meteor shower. They are read by the "dots" and dashes and arise from a system in the Little Dipper (Ursa Minor). Another type is the titanium-included quartz with the deep ridges and furrows that create definite glyphs in the faces of the crystal. It is the only Starbrary that is marked in the faces rather than the sides. These arose from the Orion system and of all starbraries, these benefit most from companion crystals. The information contained in them is very, very detailed and the companions help make it both attainable and understandable. These crystals were of great importance to the Native American cultures. The last is a slightly different type in that they are almost always double or multi-terminated. They have keys, but these keys are sometimes quite tiny. The critical thing about these is the sides appear to be layered, similar to a Lightbrary, but with no raised face/termination. It's as if the multi-terminated crystals overgrew the main one. These come from Andromeda peoples and these appear to be connected to crystals of the Cassiopeia or Pleiades peoples. They often appear as companions leading to speculation that there may have been collaboration among the peoples. It is a start - just to know what peoples have visited. Now, insights. There were more than six races of Star Peoples. Far more. The races blended and came on their own - as well as those from minor systems. All have had an impact on humans. These have, for the most part, been peaceful and good peoples - ones who tried to assist humans in their development and make positive contributions. Their legacies are found on the walls of caves, in the inscriptions of the temples of Egypt, in the ancient writings and in the crystal record. For eons, these writings have remained latent, awaiting the appropriate time and the right stage in human development to again be legible. We, the Star Peoples, are gone but our decedents live on as human-star hybrids - "blended peoples". This is why certain starbraries have such an affinity for certain people ... the memories are there are present and even though diluted through generations, are awakened like a dream scarcely remembered, but significantly there. During the period of approximately 200,000 to 20,000 earth years before this time, we visited your planet many, many times and delighted in the development we saw. It is indeed rare in these planetary systems when a planet such as yours begins to evolve and grow - so green, so full of life and so rich in its diversity. We have seen the development and the evolution from the primitive peoples we first found to where you are now. Most of our peoples had non-interference doctrines so we could not directly alter the path of your growth, but we could interact and speak with you, allow you to ask questions and learn. Like humans, crystals too have blended, but on a different level. They lovingly host the communications left upon their surfaces and help humans access the information meant to assist at various times in their development. Many of you have noted that starbraries are appearing in far greater number and variety for the time is ripe to reconnect with that wonderful legacy that has been painstakingly retained by the Crystalline Realm. We join humans in the celebration of such a reunion ... and we look forward to once again assisting humans in their quest for advancement and enlightenment. Rosetta Stone starbraries are those with both side and facial etchings that seem to represent all (or most) of the starbrary information. They assist with both the activation and interpretation of other starbraries and are the starbrary companion supreme. Master Starbraries generally have two or more star languages on their sides with sides alternating between glyphed and plain. Some of these glyphs are meant to be read directly from the side, while others must be read through the plain side! And, you can place the Master over other starbraries and you now have a "decoder". 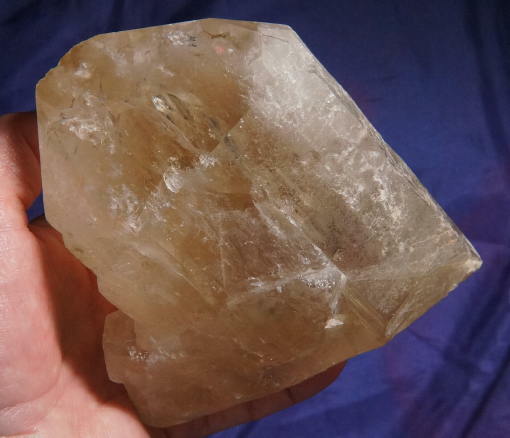 Sirius Starbraries are potent ones and it is said that such crystals were the first Lemurians - a gift of the Star Peoples to those of Lemuria. As the use of crystals evolved in Lemuria, the more favored (and more common) lined ones became popular since they were more for directing energies. Ones such as this were held for the Elders and Seers so that the records of the Star Peoples were preserved and known only to a few. Arcturian Starbraries are quartz generally loaded with trigonic record keepers and strange, etched, stick-figure-like glyphs. These glyphs will often overlay (like a sentence of many words ... ) and create a kind of frosted look in the quartz. Lyran starbraries are somewhat similar to the Leo, but the lines often resemble Sanskrit or strings. They create specific patterns that symbolize activities, communications and concepts. Coronus starbraries have circular, paramecium-like glyphs and the Star Peoples who created these records chose crystals because of the enduring nature of the record. Coronus starbraries are the true Avatars ... they are encoded with maps of all kinds from constellations to planetary systems to biological records to chemical expressions. Cygnus starbraries are quite rare and are generally found on certain citrine quartz. They have a more like a combination of Leo and Arcturian glyphs, but clearly different ... kind of like binary code for crystals. Lightning Strike Starbraries show us how the starbrary crystals were encoded. 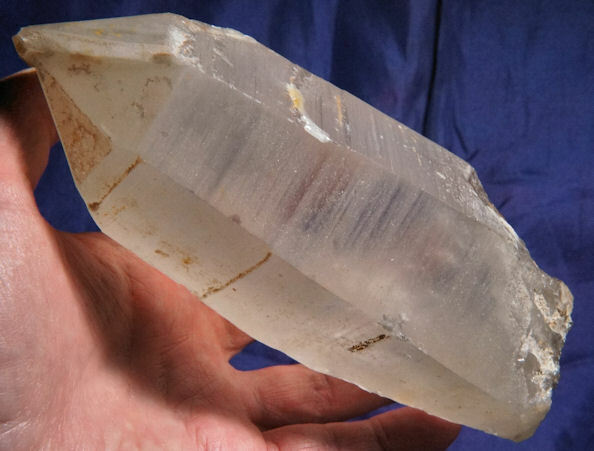 Quartz is piezoelectric meaning that it actually generates electricity when under pressure. That's why they use quartz in watches and other electronic items. When the pressure builds, the electricity has to discharge and it cause this characteristic zig-zag in the quartz. Lightning discharges near the crystal beds will do this as well - same principle. These crystals demonstrate how the starbraries were marked as a visual record of the peoples who sought permanent records for the future. Full admission: one of my favorite TV shows is the Big Bang Theory. On a recent episode, Leonard and Howard collaborated to find a new way of communicating to aliens to tell them who we of Earth are and what we stand for. The two reviewed previous attempts, including the Carl Sagan record ... which interestingly required a record player that Star People races may have no concept of ... and thus no way of deciphering the message. It was quite the conundrum. Science and technology won over the day and they solved their mission using a type of sound wave. It was all an interesting thought ... if I wanted to leave a message, how would I do it? First, since you have no idea how long the message has to remain, it should be pretty indestructible. Then it should have no special machinery to decode. And it should be easily accessible to a number of people since who knows who best can decode it? Populations move around, so you want the messages to be where they will be. So that makes the quartz crystal the perfect medium - quartz is everywhere ... it is the most common land mineral on Earth. Thus quartz meets all the requirements ... is durable, accessible and as a bonus, piezoelectric so with electricity, it can marked and encoded. No machinery is needed to decipher! Thus, it all makes sense that if the Star People wanted to leave messages for us, why not put them on quartz crystals? Decoding then becomes a matter of allowing your Self to receive the electrical signals and not judge the information that you will receive. The Star peoples are different from us in many ways, but then alike in many others. Thus some of the messages may seem bizarre and unrelated, but it is important to the Core of those Star Races or they would not have left the data. And not everything will be on a single crystal, however if you are lucky enough, you may get a Rosetta stone that will form the linkages among the crystals and guide you to others. Now mind you, this is only a theory ... but it does seem to make sense on many levels. Now, per Bing (she liked that name even though I don't exactly like that search engine ... ), she explains that we have only scratched the surface of discovering our Star visitors. Some left no record while others left prolific ones and she maintains that there are some 30 or more races that have visited over the eons. The messages from the earliest have been worn down by the winds, waters and sands of time ... but those air molecules, grains of sand and drops of water persist and still hold the energies of those visits. She says that a walk on the beach will bring up all those ancient memories plus she also asserts that beach sand is wonderful to rest your crystals in, particularly the starbraries! Continuing, Bing explains that like the majestic mountains that rise and fall with the movements of the Earth, the mighty rivers that change course and the oceans that rise and fall, change is the only constant throughout the Universe. And with change comes acceptance, flexibility, adaptation and growth which is what led Star People to Earth. Some who have visited no longer exist, while others are just at the peak of their explorations. She advised to take care because like humans, not all have best intentions, although those are in the extreme minority.  To properly access information in each starbrary, Bing advises you to study each that take you as their Keeper and perceive the messages on many levels, tactile to ethereal. It is only by reaching the totality of our senses that we activate the deepest level of understanding. The contact is there. Know also that crystals serve as a host for these recordings and also have underlying energies of their own. Your information may not come quickly, but it will come. And often you will need several starbraries to fully "load" the contents ... like chapters in a book. There is more she would share, but it is on a personal level so for the time-being, it will remain between Bing and I. We would be interested in your comments and inputs!